The Newsroom represents storytelling at its best with outstanding performances by Jeff Daniels in his Emmy Award-winning role, as well as Emily Mortimer, John Gallagher Jr., Alison Pill, Thomas Sadoski, Olivia Munn, Dev Patel, Sam Waterston and Jane Fonda. Created by Aaron Sorkin (The Social Network, The West Wing) and executive produced by Sorkin, Scott Rudin and Alan Poul. The Newsroom Seasons 1, 2 and 3 focuses on staff and managemen.. The Newsroom represents storytelling at its best with oustanding performances by Jeff Daniels in his Emmy Award-winning role, as wll as Emily Mortimer, John Gallagher Jr., Alison pill, Thomas Sadoski, Olvia Munn, Dev Patel, Sam Waterston and Jane Fonda. 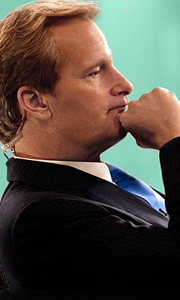 Created by Aaron Sorkin (The Social Network, The West Wing) and executive produced by Sorkin, Scott Rudin and Alan Poul, The Newsroom Season 1, 2 and 3 focuses on staff and management at..
From the fertile mind of Aaron Sorkin (The Social Network) and executive produced by Sorkin, Scott Rudin and Alan Poul, this behind-the-scenes drama takes a look at a cable-news program at the fictional ACN Network, focusing on the on and off camera lives of its acerbic anchor Will McAvoy (Jeff Daniels), new executive producer MacKenzie McHale (Emily Mortimer), their newsroom staff (John Gallagher, Jr., Alison Pill, Thomas Sadoski, Oliv.. Created by Aaron Sorkin (The Social Network) and executive produced by Sorkin, Scott Rudin, and Alan Poul, The Newsroom is back for an incredible second season. Featuring Jeff Daniels in his Emmy Award-winning role and a stellar cast including Emily Mortimer, John Gallagher Jr., Alison Pill, Thomas Sadoski, Olivia Munn, Dev Patel, Sam Waterston and Jane Fonda, the show focuses on the dramatic events of 2011-2012 as the Atlantis Cable Ne..
HBO presents a series from the fertile mind of Aaron Sorkin (The Social Network) and executive produced by Sorkin, Scott Rudin and Alan Poul. Smart, topical, humorous and highly entertaining, The Newsroom takes a behind-the-scenes look at a high-rated cable-news program at the fictional ACN Network, focusing on the on- and off-camera lives of its acerbic anchor (Jeff Daniels), new executive producer (Emily Mortimer), their newsroom staf..
All six episodes from the third and final season of the HBO drama created by Aaron Sorkin. The show takes a look behind the scenes of the fictional Atlantis Cable News and follows the newsroom staff, including anchor Will McAvoy (Jeff Daniels) and executive producer MacKenzie McHale (Emily Mortimer). While covering various news stories the staff also deal with issues in their personal lives. In this series, the team cover the Boston Mar.. The one-hour HBO drama series created by Aaron Sorkin (The Social Network) and executive produced by Sorkin, Scott Rudin, and Alan Poul is back for its third and final season. Picking up five months after the end of Season 2, The Newsroom team - anchor (Emmy-winner Jeff Daniels), executive producer (Emily Mortimer), their newsroon staff (John Gallagher, Jr., Alison Pill, Thomas Sadoski, Olivia Munn, Dev Patel) along with new-division bo..